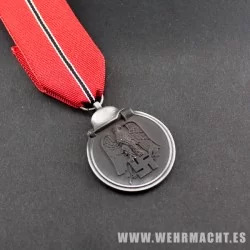 Reproduction of the Spanish Medal for the spanish Volunteer in the "Blau Division". Created by Ministerial Order of 9 November 1943. It gave those who fought with the so-called Blue Division on the Russian Front between 1941 and 1944.